Selfie Bluetooth Monopod arm extender stick for you Smart Phone or your quick shot digital cameras. The monopod arm extender is a fast and easy way to take perfect selfie. 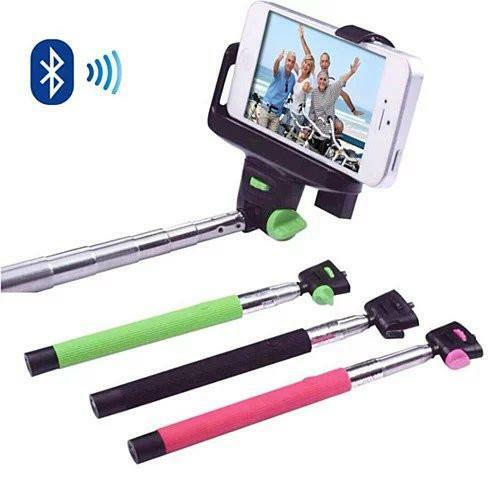 The best of all is the Monopod stick has built in Bluetooth remote that connects to your Smart Phone and when ready to take a selfie just click the button on the monopod stick it is that easy. The stick has built in battery that can be recharged for nonstop usage.The monopod stick is a telescopic stick that opens in various lengths as you desire and locks each section as you open it and can close quickly with just a slight push. When closed is approx. 9 inch long and when fully extended it is 40 inches long (3ft 4 in) almost a length of an arm. 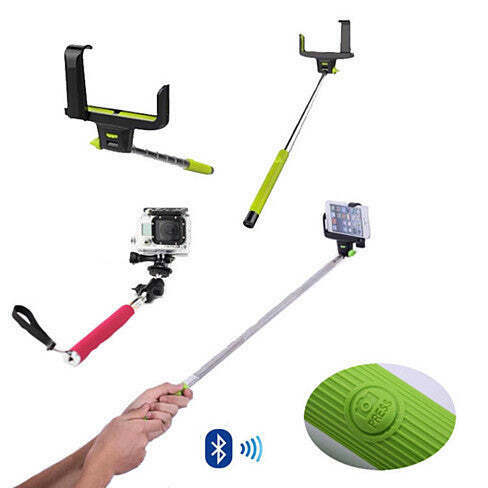 Made from durable polymer will give you long term use.The Selfie Monopod stick comes in multiple colors - Black, Lime Green and Red.The monopod fits and compatible with Bluetooth capable any model of iPhone, Samsung, HTC, Sony, Blackberry, and NokiaAlso included is the USB cable for charging the stick.1 Year Ltd Warranty.